Sigmund Freud believed examination of life was useful for making people better at work and love. Designers are hired for the former, but have opportunities to contribute to the latter in ways that might be better for society than anything cupid has to offer. Sigmund Freud believed examination of life was useful for making people better at work and love. Designers are brought it to support the former, but have opportunities to contribute to the latter in ways that might be better for society than anything cupid has to offer. It’s Valentine’s Day here in North America. Although the days’ modern expression is clearly commercial, the thought of having a day that is devoted to love is quite appropriate for those interested in design, social change and health. Love is an uneasy bedfellow (to mix metaphors) with much of what we do in business, design, and health promotion. But not all designers or change agents avoid speaking of a term that may be the most profound expression of the compassion, attention and care that creates products, services and policies that produce healthier, happier societies. As designers, health promoters and change agents, there may be no greater goal than to produce love and no more powerful vehicle for this change than love itself. Adam Kahane, an organizer and designer who has worked on creating social change on a grand scale, has written and spoken widely about this tension, arguing that we need to design conditions to promote love in partnership with a deep seated understanding of how power is manifest in the change relationship. Kahane uses the tools of design and systems thinking to get communities to visualize possible futures. By walking through various ways in which love and power can be wielded and cultivated, he helps groups struggling to promote change to be more attentive and aware of the role of love in encouraging healthful application of power. Creating scenarios in people’s heads shows how the affairs of the heart can influence design outcomes. Kahane sees scenario planning as an instrument of social change. “I believe that we have a much greater capacity to shape the future than we allow ourselves to think,” he says. Of the various labels Kahane has, one that he has embraced is that of designer. He uses love and its relationship to power as means of creating dialogue about possible futures on complex topics. This embrace of love also means acknowledging complexity, which just like love, is dynamic, multi-faceted and unpredictable. Power is the means to leverage love into social change. Intention is about awareness, focused attention and projection of consciousness to motivate action. In many ways, it is the application of love. Designers who work with the intention to produce healthy outcomes, may be using more than just creativity and social engagement as their tools, they may be employing their heart. Arthur Zajonc has explored the role of intention and mindfulness as a means of designing greater learning environments and creating cultures of contemplative inquiry. His recent book on the subject, focuses on those points where knowing something — yourself, others, a subject matter — intimately through compassionate reflection produces love. This is the cultivation of intention and the purposeful expression of it to human affairs. Mindfulness and design go hand in hand. If design is about introducing, provoking and facilitating change, and if such change must be guided by intention, then efforts aimed at social change for health most likely require attention to love. So consider the work that you do to make your community a better place the best Valentine of them all. 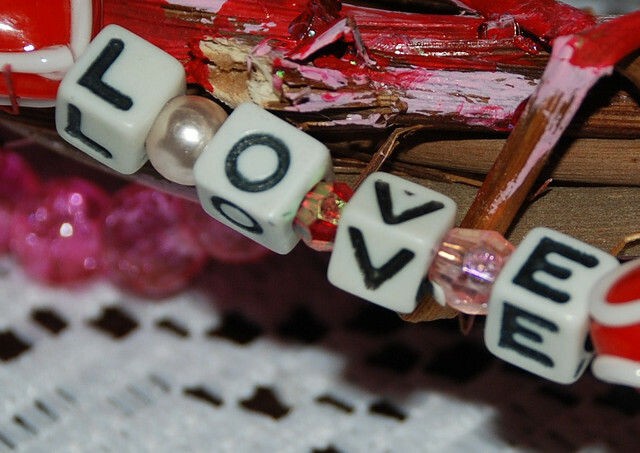 ** Photo Love by Aunt Owee, used under Creative Commons License from Flickr.